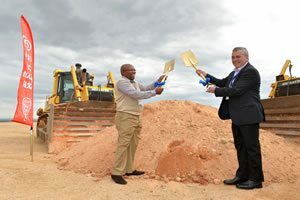 Unilever has broken ground on the site of new manufacturing facilities in Midrand, South Africa that will help drive sustainable growth for the company in the fast-growing developing and emerging markets. The company is investing about R500million in the novel, state-of-the-art ice cream factory to increase Unilever’s capacity for growth and service increasing demand for brands like Magnum, Cornetto, Gino Ginelli, Paddlepop, Frutarre and Rich n Creamy in South Africa. This development complements the additional capacity already being built elsewhere in the Unilever world – from Turkey to China – all utilising the latest ‘green’ technology to better enable Unilever to deliver bigger and better innovations more quickly to consumers. It will also support Unilever’s ambition of doubling the size of its business while reducing its environmental impact and increasing its positive social impact. 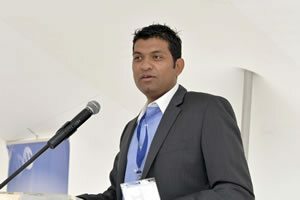 This development follows a R1 billion Unilever investment announced early this year for new Home Care facilities in Boksburg, Johannesburg and a R670 million investment in a new Savoury products factory announced at the end of 2011 in Durban. 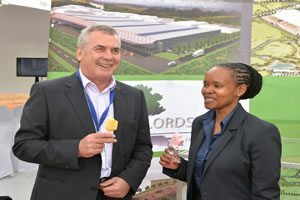 Peter Cowan, Chairman Unilever South Africa said, “The ice cream market in South Africa is relatively small, but is one that we believe has significant potential. South Africans eat only one litre of ice cream a year, when Turks eat nearly 2.5 litres and New Zealanders 15 litres. 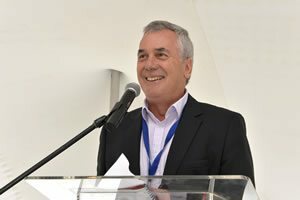 This investment in a brand new facility in Midrand will use novel construction techniques to build a facility that will enable us to capitalise on the growth potential we see. “With investments planned across South Africa, Nigeria, Ghana, Cote D’Ivoire, Kenya and Zimbabwe, this is just another example of our multi-year, multi-million investment plan to cater for our growth in South Africa. It will enable us to better serve consumers with innovation and green technology, as well as improve service levels to our retail customers. It underscores our ongoing commitment to the long term future of South Africa. The development will deliver a low energy, environmentally efficient factory with zero waste to landfill. The ground-breaking ceremony for the new facility was attended by members of the Unilever SA Board, the Deputy Director-General of the Department of Trade and Industry, Ms Pumla Ncapayi, Member of the Mayoral Committee, Mr Bennett Nkani and his contingent. “The manufacturing sector continues to play a pivotal role in ensuring that South Africa achieves higher rates of economic growth that we need. Unilever has been a critical part of the process and we look forward to it continuing to play a role in ensuring that South Africa becomes an even more globally competitive manufacturing location, especially through increased investment in modern plant and energy efficiency, as well as skills development”, said the Deputy Director–General of the Department of Trade and Industry, Ms Pumla Ncapayi. The factory will be built in Midrand and production is expected to start in 2015. The factory will use efficient motors, drive mixers and air compressors, reducing energy requirement levels substantially and the application of smart water efficiency technology, enabling the recovery and reuse of water used in production phases. Under the Unilever Sustainable Living Plan (USLP) launched in 2010, we are committed to helping more than a billion people take action to improve their health and well-being, sourcing all our agricultural raw materials sustainably by 2020, and decoupling our growth from our environmental impact. Supporting our three big goals are more than 50 time-based targets. Unilever directly employs 2 700 people full time in South Africa. Head office is in Durban with manufacturing plants in Durban, Pietermaritzburg and Johannesburg. In November 2010 the Unilever Sustainable Living Plan was launched. Unilever publicly committed to a ten year journey towards sustainable growth, with around 60 specific targets embedding this new thinking into our business. What makes the Unilever Sustainable Living Plan different is that it applies right across the value chain. Unilever is taking responsibility not just for its own direct operations but for their suppliers, distributors and – crucially – for how consumers use brands like Dove, Knorr, Lipton, Lifebuoy and Pureit.